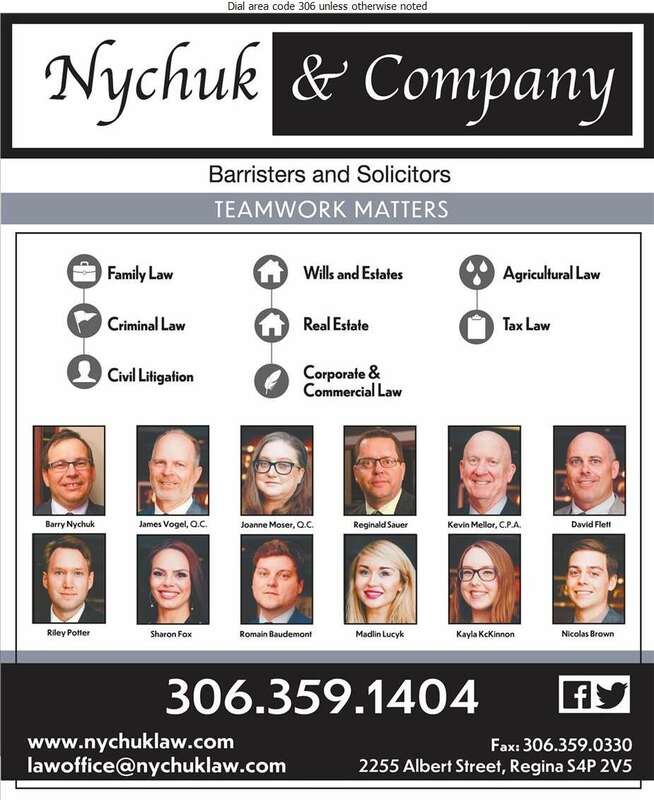 At Nychuk and Company Barristers and Solicitors, we value the importance of providing legal experience with as little financial and emotional impact as possible. Our lawyers have the experience before all levels of court in family law (including separation, divorce, support, custody, access), criminal defence (including 08/impaired, assault, sexual offences, drug related offences and appeals of convictions and sentence), civil law (contracts, corporations, builders' liens), purchase and sale transactions (business, corporations, real estate) etc. Our goal is to make sure our clients are fully aware of what the options are as well as the risks. 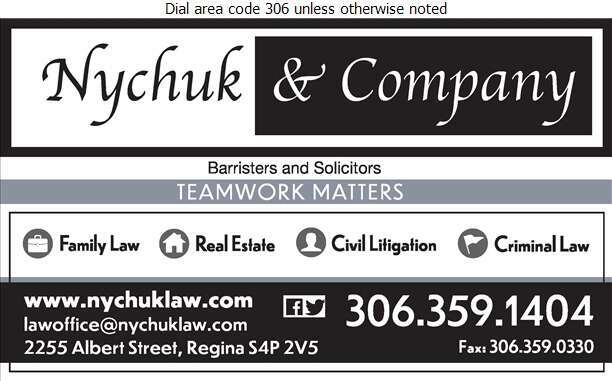 Contact us today and one of our lawyers will get back to you promptly to discuss your problem and how we may be of assistance.